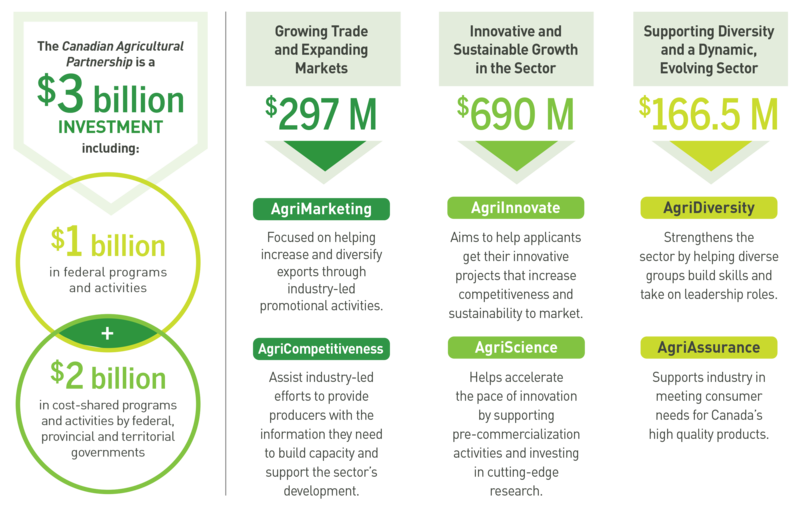 The Canada Agricultural Partnership (CAP) is a five-year, $3 Billion investment by federal, provincial and territorial governments to strengthen the agriculture and agri-food sector – a key area of economic growth and job creation – to deliver the greatest benefits for farmers, food processors and Canadian families. Up to 50% of eligible expenditures to a maximum of $500,000 in grant value. Up to 50% of eligible expenditures to a maximum payment of $500,000 (including the amount provided for the Efficiency Analysis).